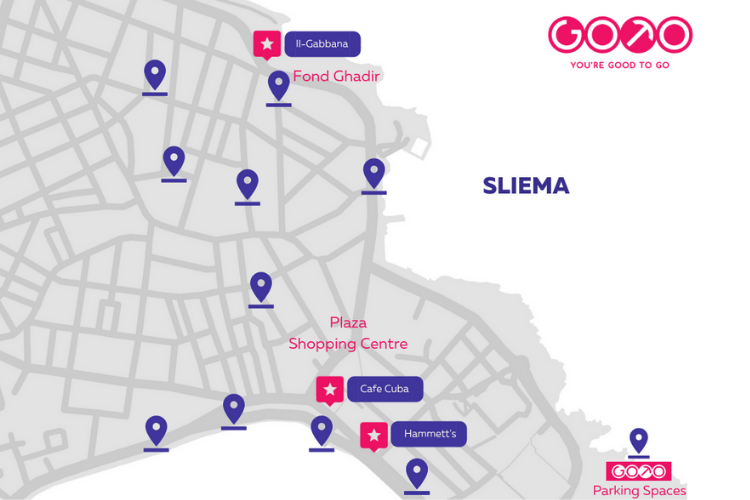 Sliema is packed with great cafés and restaurants. Which one you deem the best depends on your favourite food; however, we have selected three to help you choose when you’re in restaurant overwhelm and all are voted 4+ on TripAdvisor. The best advice you can get about places to eat is “eat where the locals eat”, so we have chosen 3 restaurants that are especially popular with the locals. Know by Sliema locals as simply - Gabbana (meaning Kiosk) - it’s in fact a food kiosk located on the Sliema promenade. It is equipped with shade, bathroom facilities and great views. So, it fares pretty well in the kiosk department. In spite of its humble beginnings, Gabbana boasts some of the best food around. Its ratings on Facebook are excellent, and the fact that it’s been frequented by locals for over a decade is testimony to its quality. Whether you’re looking for cocktails and snacks in the sun or a nice filling lunch Gabbana makes for a great choice. It is the best place for a burger, pizza or a plate of pasta. Hammett’s is the best choice if, as the saying goes, you like to “eat with your eyes first”. Hammett’s attention to detail can be felt across everything they create. The décor is exquisite, and the food matches the attention to the senses. This is one of those places that is always filled with locals. It is very popular because it has a great atmosphere, especially in the evenings and, of course, the food is excellent. Everything tastes great and the dishes on offer also vary with the season. Special offers and events make a regular appearance. If you like a place that offers unusual but always delicious meals from Asian or South American to perfectly Italian, Hammett’s is a great choice. Cafe Cuba is located in the heart of Sliema. You will see a few café’s huddled in this area; however, Cafe Cuba, placed firmly on the corner, will give you a familiar taste bud feast. Once again, thoroughly loved by the locals, Cafe Cuba is one of those places where no matter you order, you can never go wrong. They serve Neapolitan pizza, burgers, salads, grills, pasta, tacos and crepes. Popular for lunch and dinner, it has a child-friendly menu and environment. The service is friendly and prices very reasonable. So, if you’re looking for a place to stop for lunch or dinner, you know where to go – this is our top recommendation. And make sure you get there without any parking hassles. When using a GoTo car sharing electric vehicle, you save a lot of time and money. It is especially useful to tourists who do not want to waste a lot of time on buses or spend a lot of money on taxis. GoTo saves you the trouble of regular car rental too. With GoTo you don’t need to fuel up the car or worry about car insurance and other paperwork. You just hop-on and hop-off when you need it. Check how can it be a perfect alternative to a traditional car rental. .
One of the best things about GoTo’s car sharing cars is probably the easy parking. Malta is a small busy island and parking spaces are usually hard to find. But not with GoTo - learn more about GoTo services here.